Guinness moustache selfie at the Guinness Storehouse. Ireland is one of those destinations for which there seems to always be airfare deals. 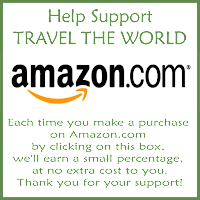 Years ago, when we were lucky if we were able to make one international trip a year, we almost had to go a year without. 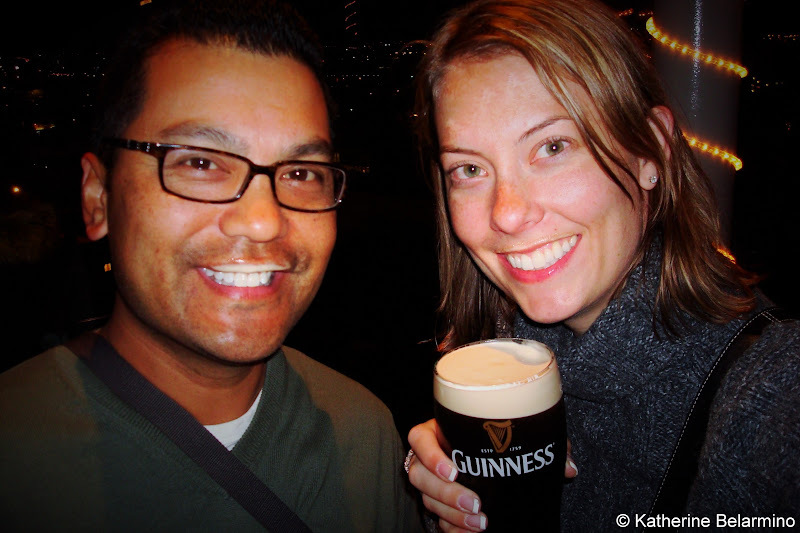 But then we found a crazy airfare deal to Dublin, and all of a sudden we were heading to Ireland for the holidays. 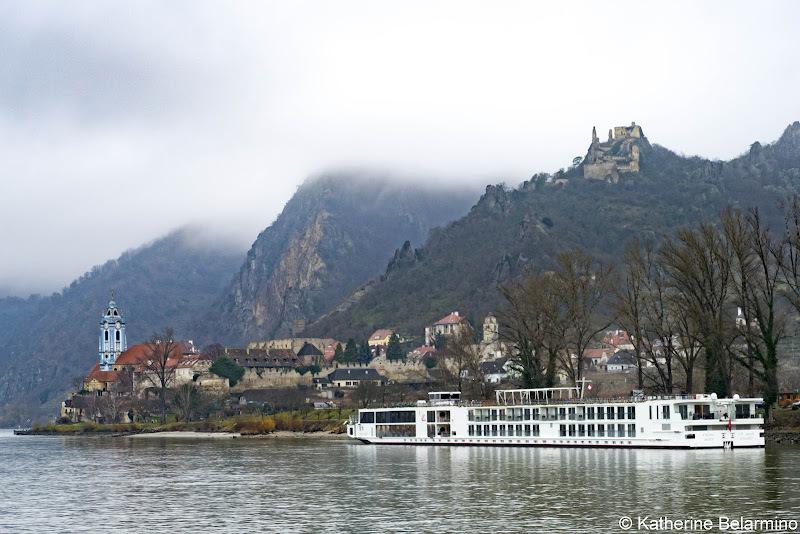 Some travelers limit their travels to capital cities. While there are many things to do in Dublin and it is a great capital city, Dublin should really be a starting point for exploring Ireland rather than the only destination. During our trip to Ireland, we spent two days visiting Dublin before we started venturing out through the rest of the country. To get to know Ireland, you really need to drive its countryside, visit its castles, talk with its people, and soak in its natural emerald beauty. 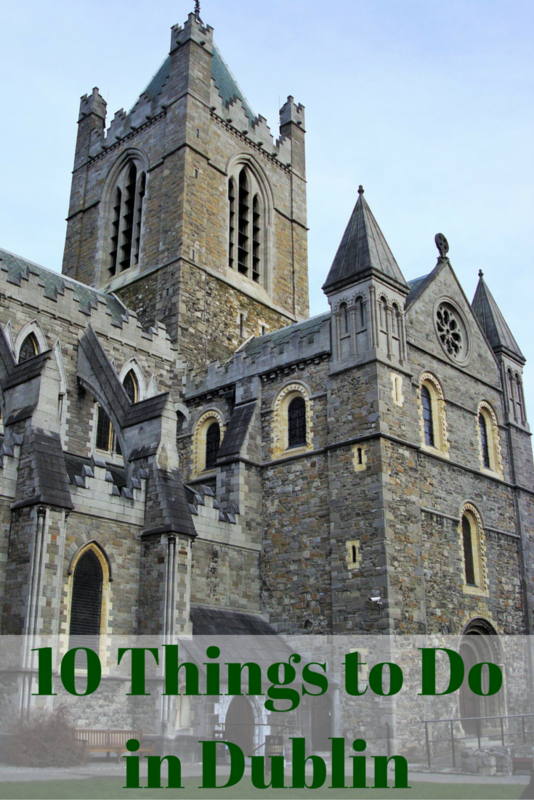 But before doing all that, get acquainted with Ireland by spending a couple days experiencing some of these things to do in Ireland. A must-do on any Dublin itinerary is a tour of the Guinness Storehouse. The Guinness Storehouse is located in the St. James’s Gate Brewery in Dublin and has been since 1759 when Arthur Guinness started brewing in the brewery and signed a 9,000-year lease on the unused brewery. The inside of the brewery is shaped like the world’s largest pint glass and a self-guided tour travels from the bottom to the top, seven stories up, with interactive exhibits about brewing, Guinness, and Ireland. The tour ends at the top with a pint of thick, creamy Guinness in the rooftop Gravity Bar, which also provides a panoramic view of Dublin. 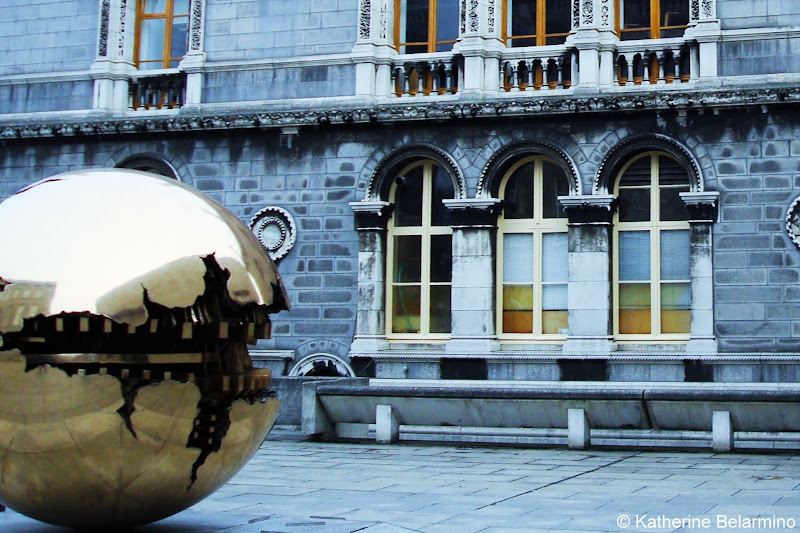 Sphere Within Sphere in front of Trinity College. Trinity College has two very specific draws in the Old Library, the Book of Kells and the Long Room. Downstairs is the Book of Kells Exhibition, where you will see a couple pages of the world’s most famous medieval manuscript. This book, which is more of a work of art, was created in the 9th century and is full of colorful and detailed illustrations accompanying the four gospels of the life of Jesus Christ. Before entering the room that contains the actual Book of Kells, there are walls exhibiting enlarged pages along with information about the Book of Kells. Upstairs is the Long Room, the main chamber of the Old Library which is filled with a couple hundred thousand of the library’s oldest books. In addition to old books, the library is also filled with marble busts and a harp, the symbol of Ireland. One of Dublin Castle's staterooms. Dublin Castle, another top thing to do in Dublin, is located in the center of Dublin’s historic district. Visitors can explore the grounds and museums on their own. However, if you want to tour the State Apartments and Chapel Royal, you’ll need to join a guided tour. 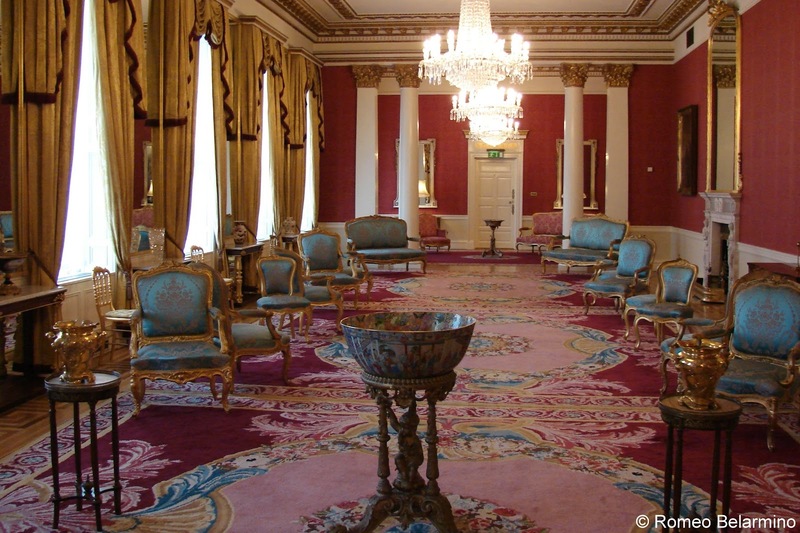 The State Apartments are where prestigious functions occur and are the most important staterooms in Ireland. 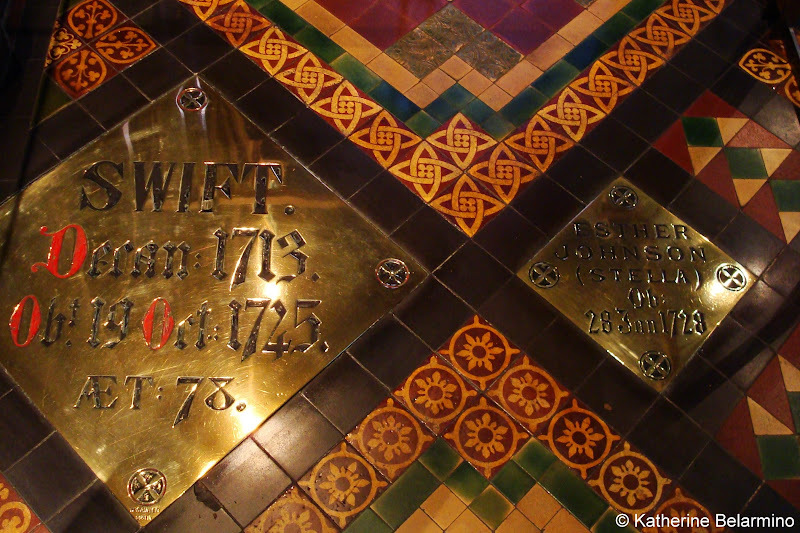 Jonathan Swift, Dean of St. Patrick's Cathedral and author of Gulliver's Travels. St. Patrick’s Cathedral is so named because it is on the site where St. Patrick baptized converts to Christianity in the 5th century. There has always been a church on the site since that time, and the current church was built in 1225, though much has been added and restored since then. The author of Gulliver’s Travels, Jonathan Swift, was the Dean of the church from 1713 to 1745 and he is buried in the church. 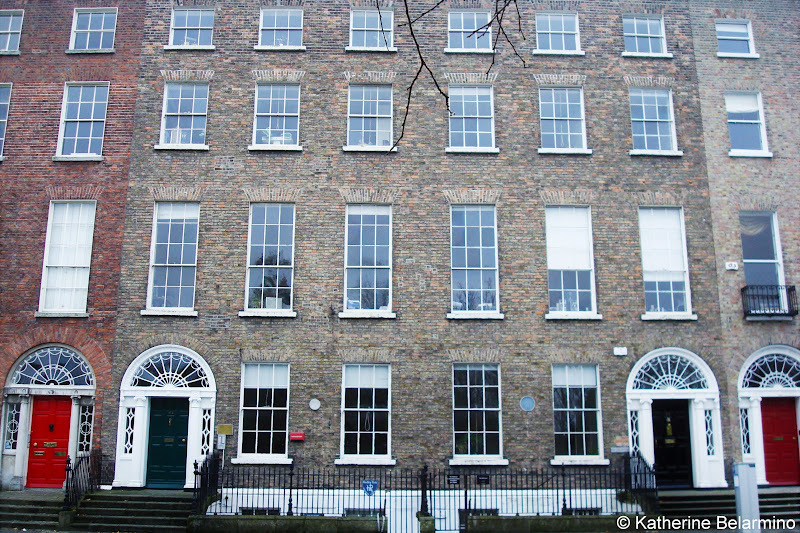 Georgian townhouses, including Number 29, along Merrion Square. 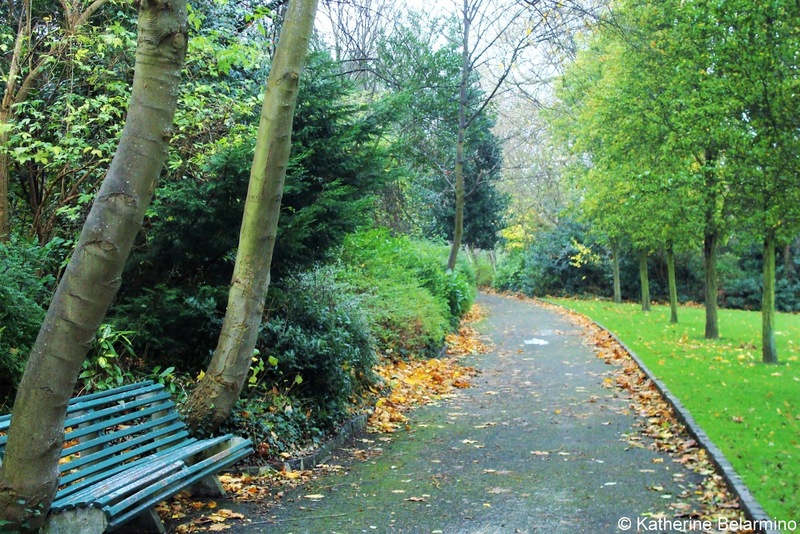 Merrion Square is the heart of Georgian Dublin. Merrion Square is a pretty park surrounded by Georgian townhouses. One of these Georgian Townhouses, Number 29, ESB Georgian House Museum, can be toured on a self-guided tour. It was the home of an upper-middle-class widow and her children and illustrates life between 1790 and 1820. Also along Merrion Square is the National Gallery of Ireland, which contains the national collection of European and Irish fine art. 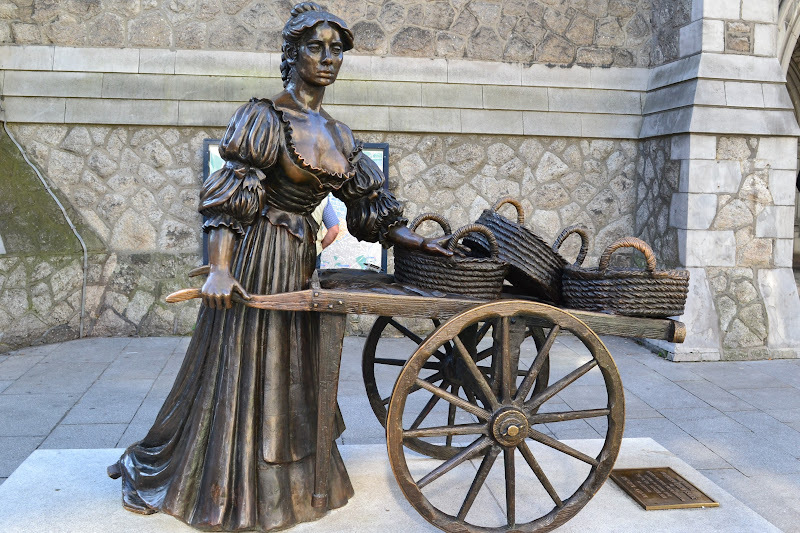 While in Dublin, don’t forget to take a photo with the buxom broad Molly Malone of cockles and mussels fame. When we visited Dublin she was located at Grafton Street, but was moved and is now found outside St. Andrew’s Church. She first appeared in Dublin in 1988 for Dublin’s millennium celebration. Grafton Street and Brown Thomas decorated for the holidays. Grafton Street is Ireland’s world famous shopping street. 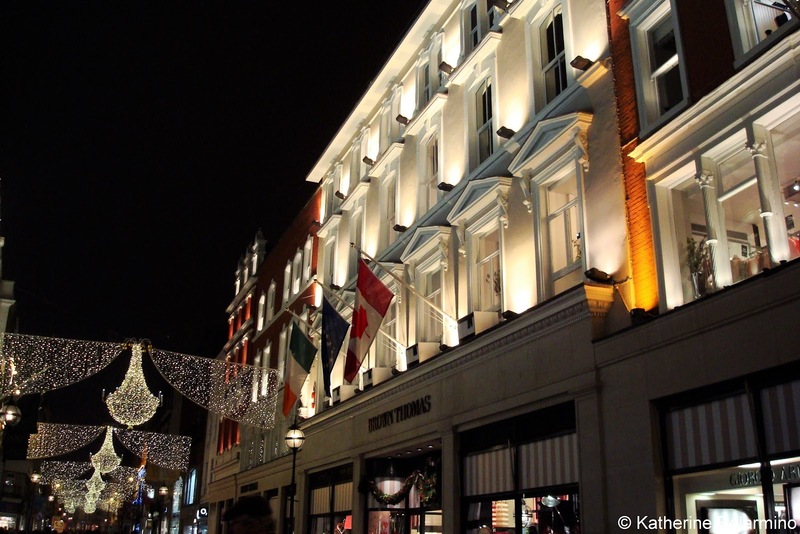 If you love to shop while on vacation, Grafton Street is the place to go. A must-visit on Grafton Street is Brown Thomas, the flagship store of the Irish department store brand and a landmark that originally opened in 1848. I always enjoy visiting local department stores to see the kinds of things the locals like to buy. Grafton Street is especially beautiful when it is lit up with Christmas decorations. Another Dublin experience that cannot be missed is listening to the Irish sing their Irish drinking songs. Temple Bar, known as Dublin’s cultural quarter, is a popular area to visit at night. There are a number of bars, including The Temple Bar pub, established in 1840 and winner of the Irish Music Pub of the Year award. Irish drinking songs can be heard in many pubs across the city. Our hotel was directly over Darkey Kelly’s Bar, a well-known pub in Dublin for traditional Irish music. 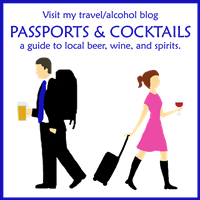 What surprised us was that Irish drinking songs are not just old songs surviving generations. There are also new Irish drinking songs filled with tales of drinking and Viagra. If traveling to Ireland, be sure to explore as much of the country as possible, but before you do, spend a couple days experiencing these top things to do in Dublin.